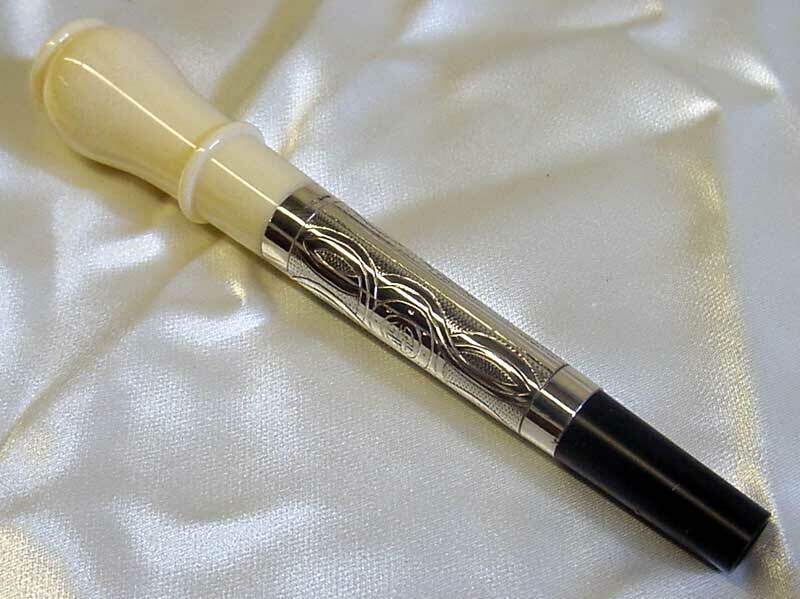 African blackwood, half mounted with sterling silver ring caps, ferrules, tuning slides, mouthpiece tube, and pipe chanter sole (not engraved.) 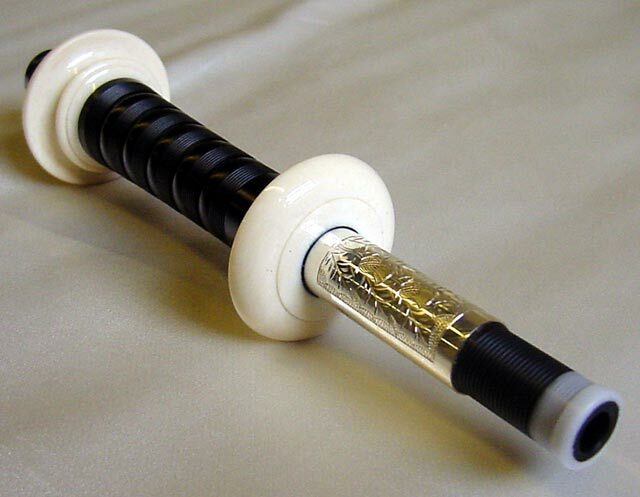 Art. 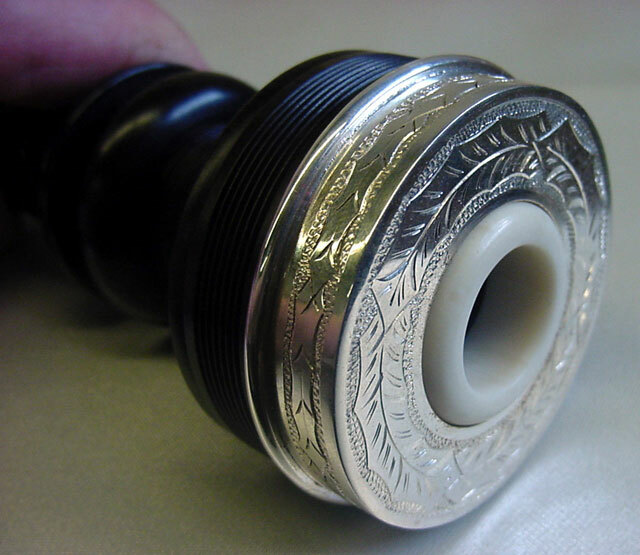 ivory projecting mounts, mouthpiece bulb, and bushes. 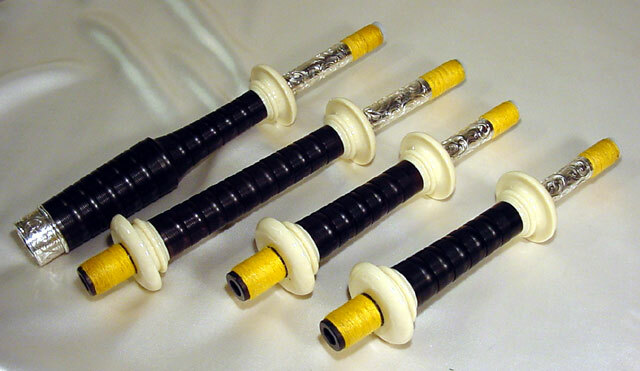 Delrin hemp stops. 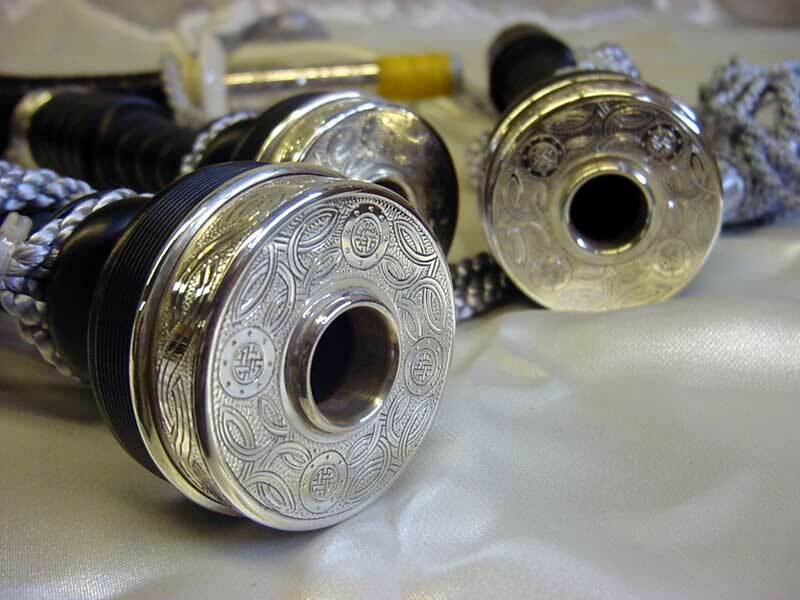 The plain silver takes a long time to polish. 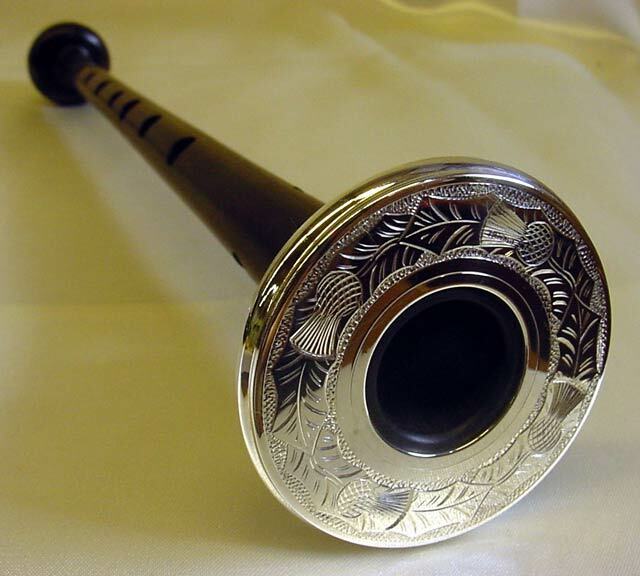 Every piece of the pipe. 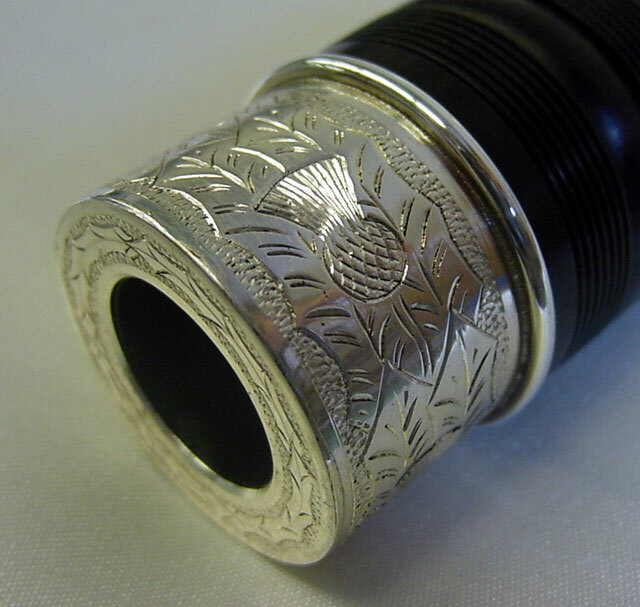 Threaded silver ferrules and ring caps are exclusive to CE Kron & Co.
On the #3 sets all the ferrules and ring caps are threaded. 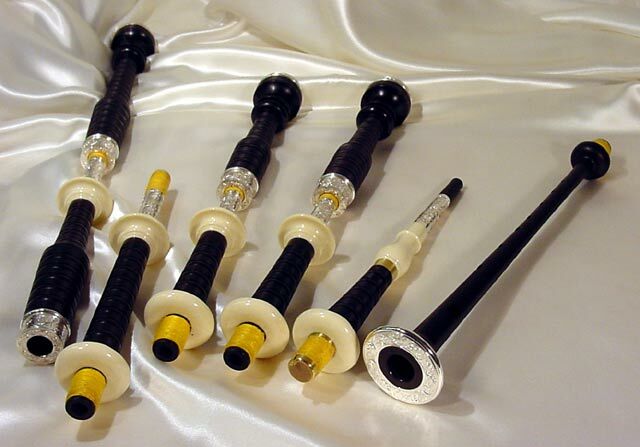 They will never come off. 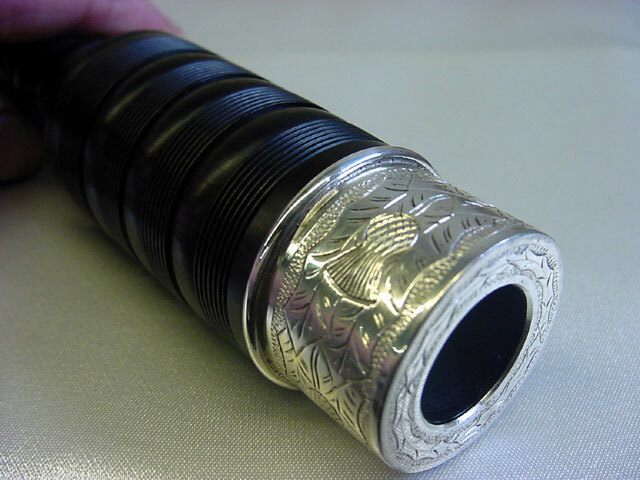 Closer view of the ring cap. 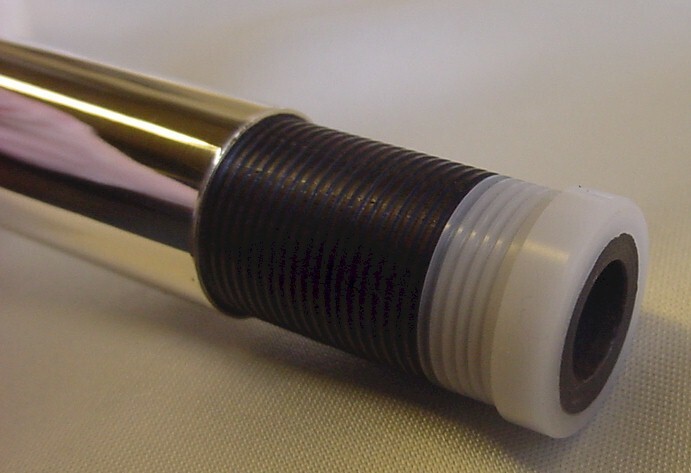 The hemp stop is perfectly fitted. 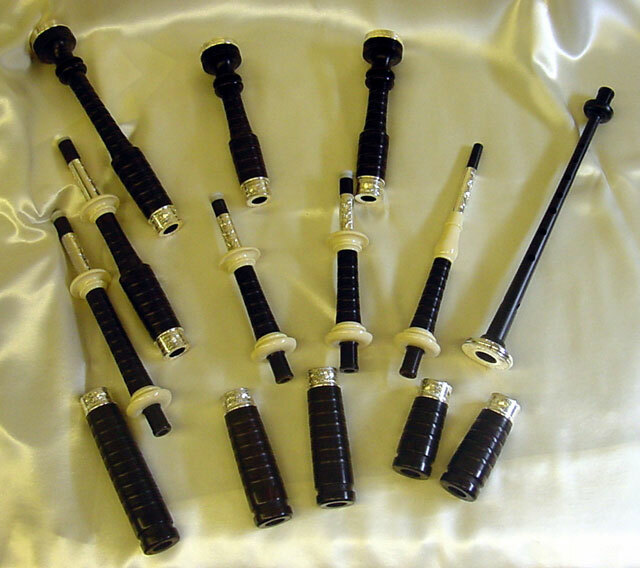 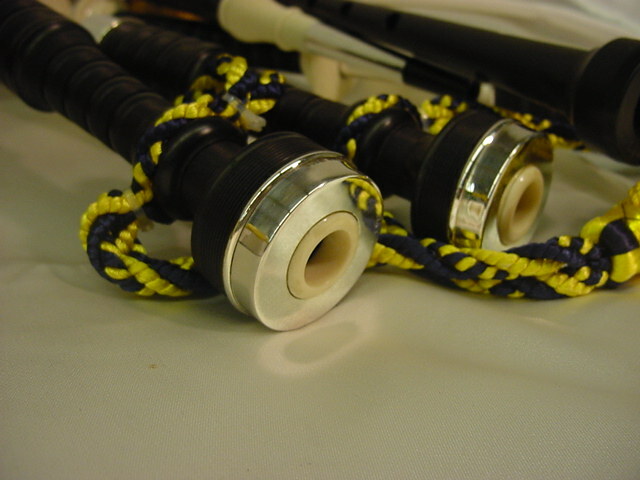 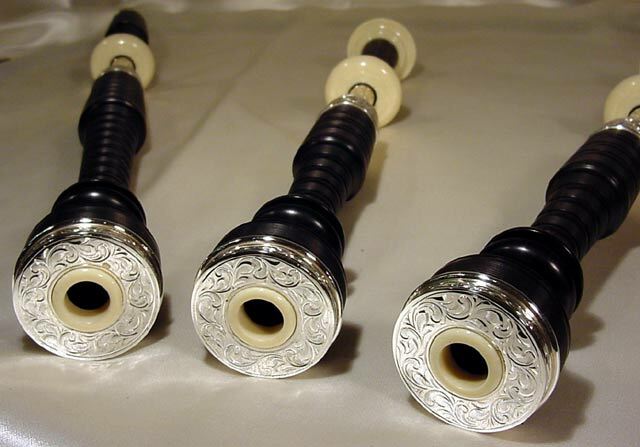 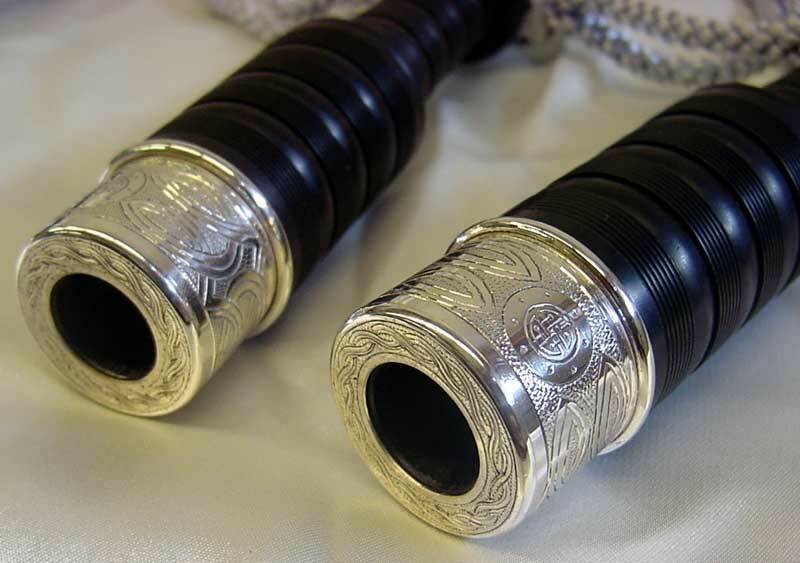 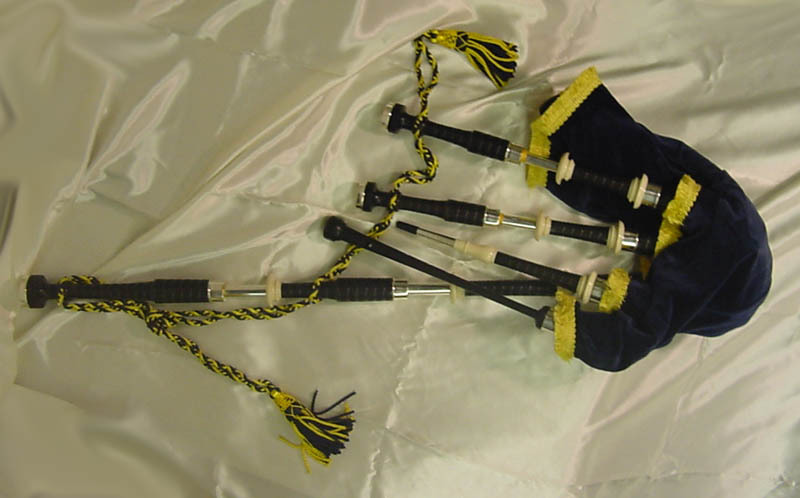 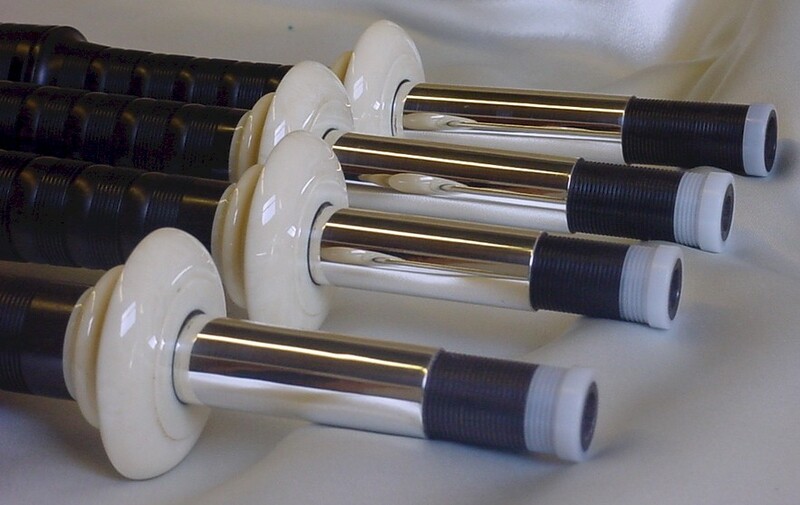 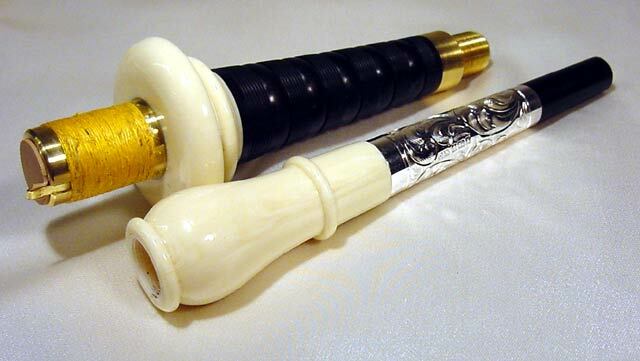 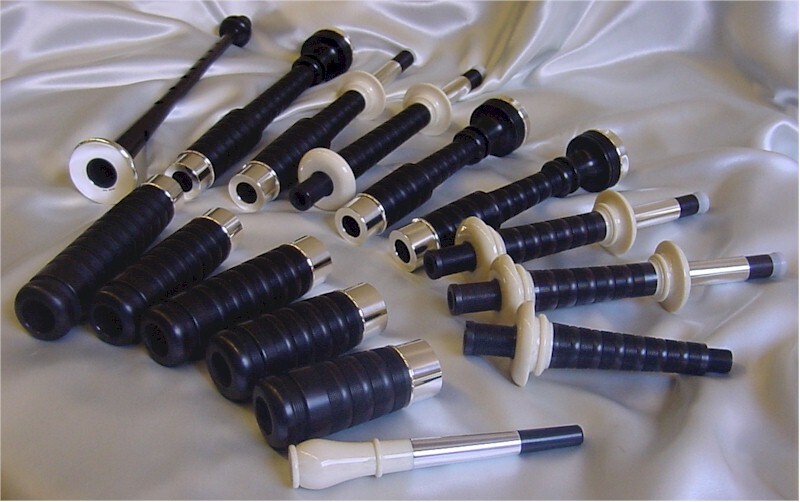 The blowpipes look really elegant with our fancy mouthpieces on them. 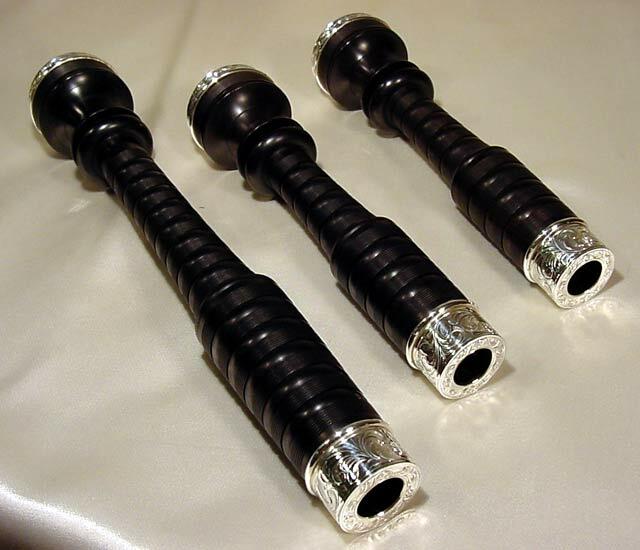 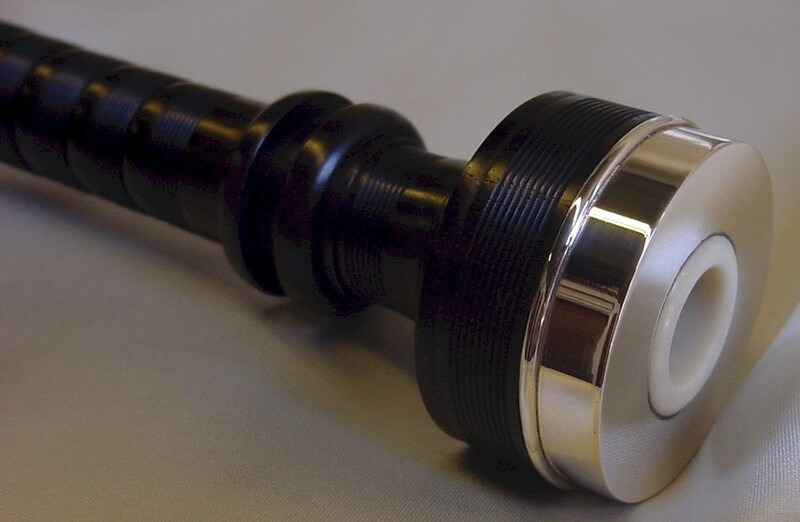 African blackwood, half mounted with engraved sterling silver ring caps, ferrules, tuning slides, mouthpiece tube, and pipe chanter sole. 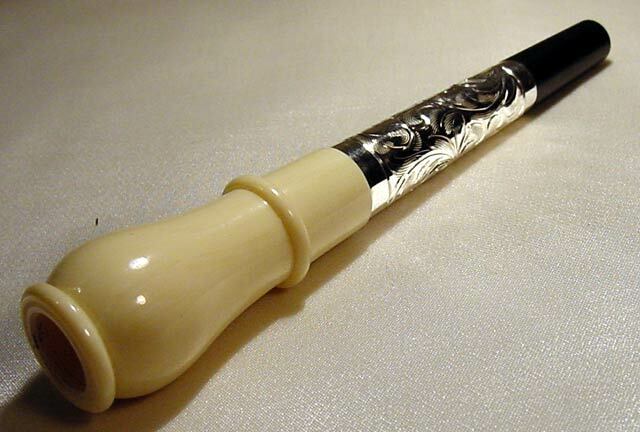 Art. 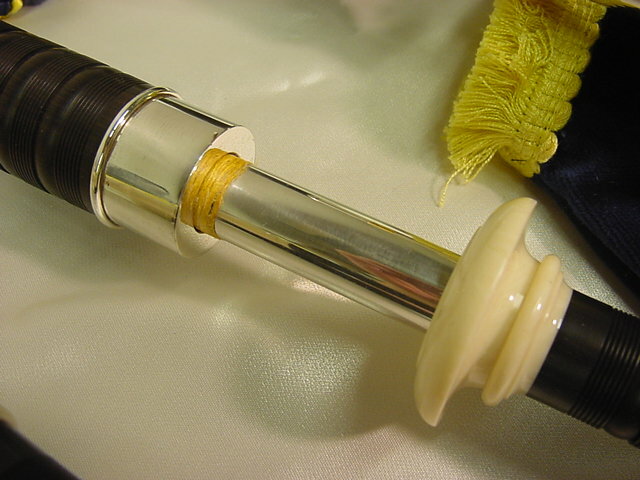 ivory projecting mounts, mouthpiece bulb, and bushes. 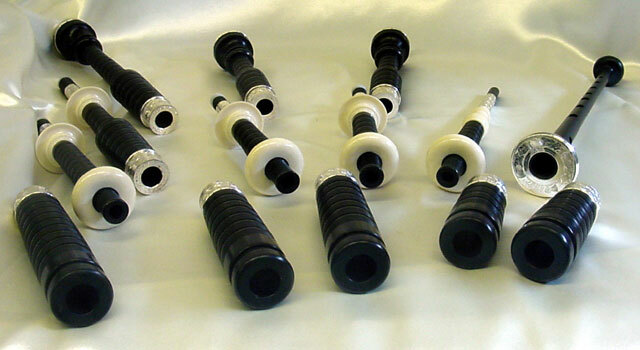 Delrin hemp stops.